What’s next for No Boston Olympics trio? 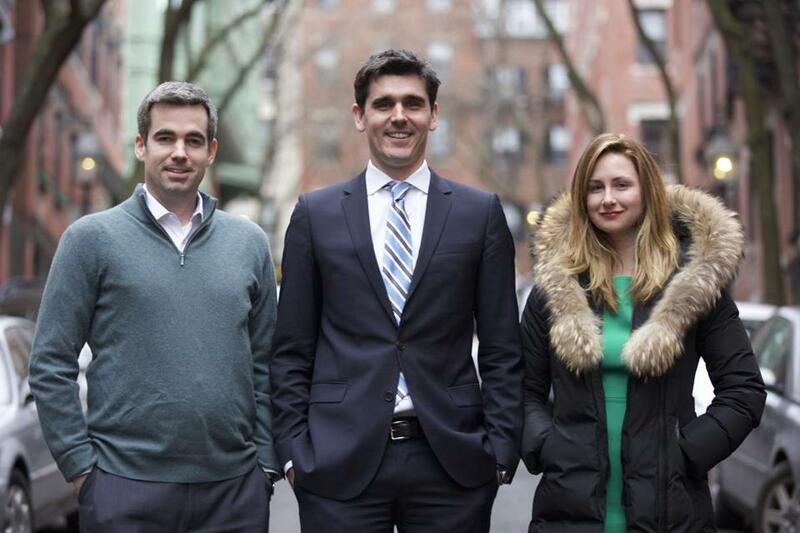 Liam Kerr, Chris Dempsey, and Kelley Gossett are the three young professionals behind No Boston Olympics. Last weekend, just a few days after Boston’s Olympics dream officially died, the three 30-somethings who helped orchestrate its demise found themselves with a luxury unavailable during the preceding months: a weekend off. Kelley Gossett went to the beach, thumbing through issues of the New Yorker and Vanity Fair and enjoying a reprieve from the Olympics-related literature that had dominated her reading for months. Liam Kerr spent time with his wife and young son. And Chris Dempsey gutted his way through a weekend triathlon in Vermont, his work in recent months having left him with little time to train. “I would say I was happy to complete it,” he said Monday. And happy, no doubt, to have wrapped up the work of No Boston Olympics, the organization the trio co-chaired and whose rise to prominence (or notoriety, depending on perspective) helped set the course of the Olympics debate. So what happens now? In the short-term, practical matters seem to be the group’s focus. There are donors and volunteers to thank, administrative details to wind up. Both Gossett and Dempsey — who had been working full time with No Boston Olympics after leaving jobs at One Family and Bain & Company, respectively, back in March — have said that getting jobs will be a priority. Doubt and skepticism are not dirty words. They are legitimate tools. What’s less clear is the group’s collective future — namely, whether Gossett, Dempsey, and Kerr might work together again and, if so, what another joint venture might look like. Admittedly, it’s not something they’ve spent much time thinking about. For much of the past six months, their attention has been singularly focused. Sleep. Friends. Working out. All fell by the wayside as the No Boston Olympics crew often worked 19-hour days toward the lofty goal of keeping the Olympics out of the area in 2024. But while their profiles are as high as they’ve ever been at the moment, they seem content taking any next steps slowly. The group’s efforts are well-known throughout Greater Boston. Formed in December 2013 as a way to point out the potential burdens a Boston-based Olympics might bring to the city, the group sprang from humble beginnings. Soon enough, though, members were sitting down with representatives from Boston 2024, with Mayor Martin J. Walsh, with Governor Charlie Baker. Ray Howell, whose consulting firm has counted Microsoft, Comcast, and AT&T among its clients, was offering to throw his support behind the cause, pro bono. Another supporter was donating his Back Bay apartment as a temporary work space for the group. 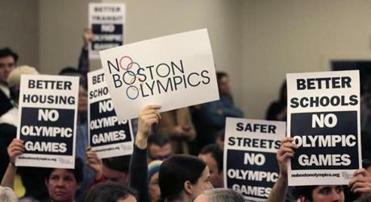 While Walsh famously said last month that opposition to the Olympics was relegated to “10 people on Twitter,” the reality was that the anti-Boston Olympics movement, thanks in no small part to No Boston Olympics, had grown significantly since its start. In the end, the group had amassed close to 10,000 combined followers on Facebook and Twitter, as well as various supporters throughout the area. What had started as a 33 percent opposition rate to the Olympics from Boston-area residents in January jumped to a 53 percent rate in July, according to polls conducted by WBUR. To supporters, the group’s high profile is at least partially the result of an approach that served the group well in its quest to get its message out. Kayla Doan, one of the organization’s dozen or so core volunteers, pointed to the group’s tech-savvy methods as one source of its success. An online petition produced by the group racked up 700 resident signatures in three days, she said, while its “contact-your-councilor” tool helped put the public in touch with the Boston pols. “This is powerful stuff,” Doan said. “I think that their abilities are clear to anybody that followed this debate,” added Howell, the consultant. Even the mayor — a regular adversary over the course of the past year and a half — encouraged the group’s members to remain involved in civic matters as the city looks toward the future. Whatever the future holds, they’ll be forced to tackle it a little sooner than they’d planned. The group had been prepared for at least another month of work when the United States Olympic Committee officially announced on July 27 the mutual decision to withdraw Boston’s bid to host the Games. At the moment they heard the news, Gossett and Dempsey were at the group’s headquarters trying to put together a new printer. Purchased a few days before to help off-set the group’s printing costs, it was a rare splurge, one of the few the organization had allowed itself. Alas, it wouldn’t be needed. Before they could figure out how to get the printer running, the announcement had hit Twitter and the trio found itself in the midst of a victory celebration. Time will tell whether there’s another high-profile campaign in their future. But the three can take solace in the fact that, if they do regroup for another civic battle, they’ll do so with the wealth of experience gained during an arduous Olympics campaign. Not to mention a brand-new Canon printer, waiting at the ready.